A couple of days ago I was out on the afternoon walk with Bentley when he suddenly stops and sniffs at the ground and then he looked up at me. His body language was a little tentative so I walked over to see what he was sniffing at. Blood. I hadn’t realised it was his until we started to move again and I saw that he was limping. 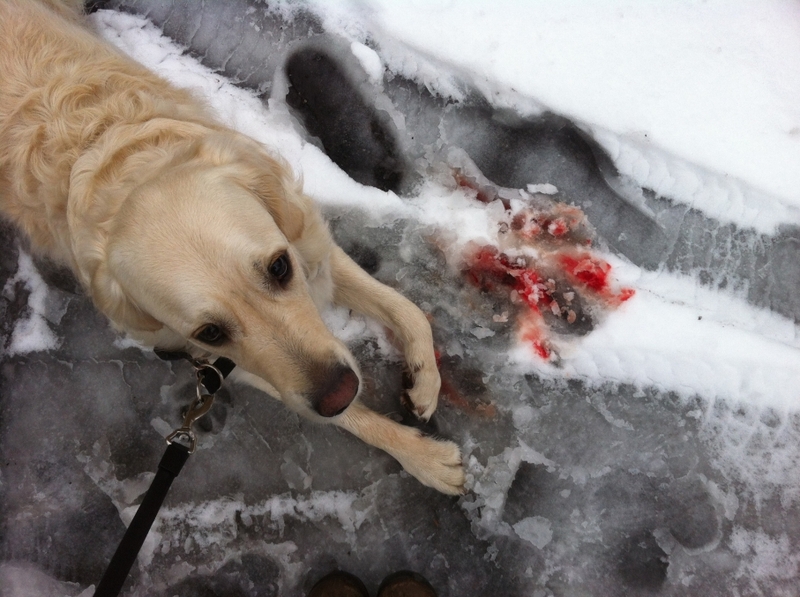 So this time I checked properly and realised he had cut his paw on something in the snow. We hadn’t gone more than a few hundred meters but there was blood everywhere. The poor guy. So I took a closer look and decided to call the vet for some advice and they said that he might need stitches. 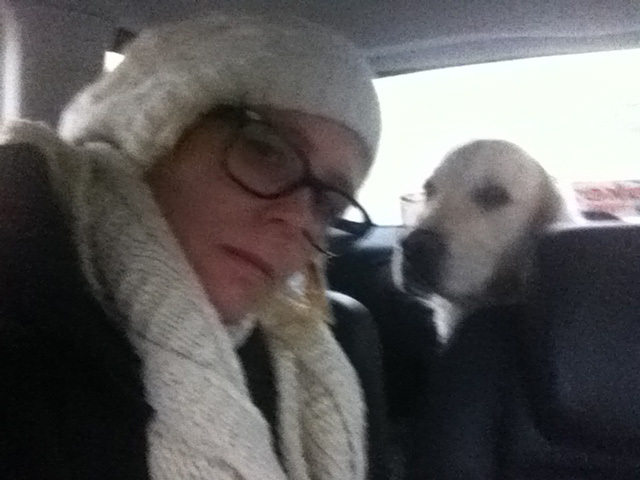 So it was off to Bagarmossen Animal Hospital for us. L was still at work but I called to see if on the off chance he had left early. He hadn’t so I ordered a cab and I have to say, Taxi Stockholm (apart from one incident where they refused to pick me up from Lilla Essingen and take me to Stora Essingen) have always been pretty reliable. The switch operator ordered a taxi that could carry a dog and the driver actually called me to tell me he wasn’t far away. 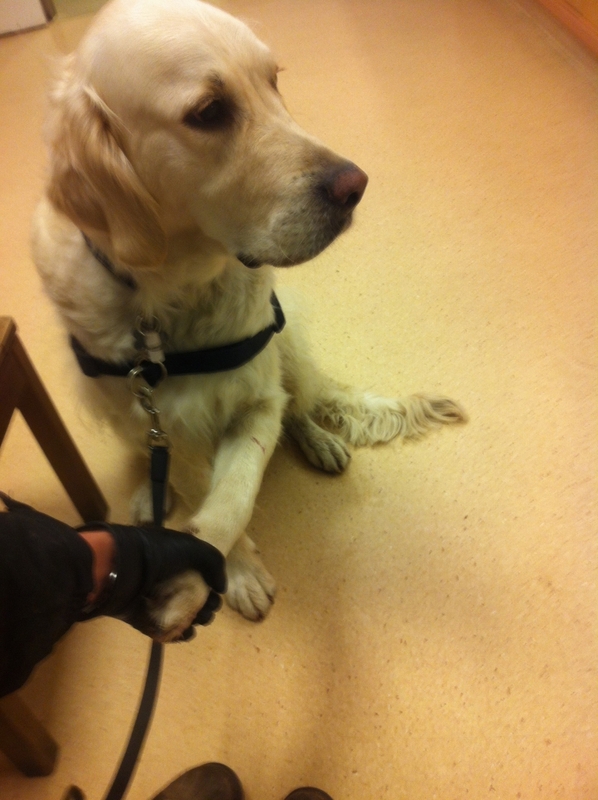 While we waited for the taxi poor B looked extremely unhappy and just let me put pressure on his paw. It’s honestly amazing to me that 5 people can walk past someone who obviously might need help… yet only the 6th person stops to ask… and she had a dog, herself. I don’t do well with blood or seeing people or animals hurt so I was fighting passing out. So, while in the Taxi on the way to the hospital I was thankful that Taxi Stockholm and that woman cared enough to help… or even just to ask. Thankfully, he didn’t need stitches, but he limps quite a lot right now and he’s been really good and not chewed off the bandage. After a week he can hopefully take it off.